We invite you to relax and experience Fireplace X’s newest EPA-Certified wood burning fireplace. Perfect for any home, new or old, and can be featured anywhere in the home, including interior walls! 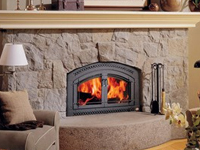 This fireplace features a large rectangular door and viewing area. Designer face options include three different designs; the Universal face, Metropolitan face and Timberline face. This fireplace is not just for looks. It is efficient and heat producing. The exceptionally quiet fan comes standard and minimizes noise while maximizing heat output! 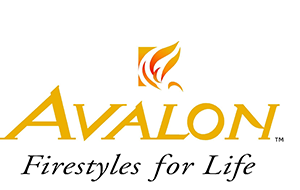 Large EPA certified catalytic wood burning fireplace heats like a furnace. 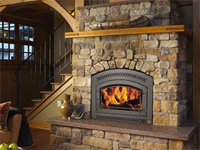 Features Posi-Pressure heating system that circulates the heat evenly throughout the home. 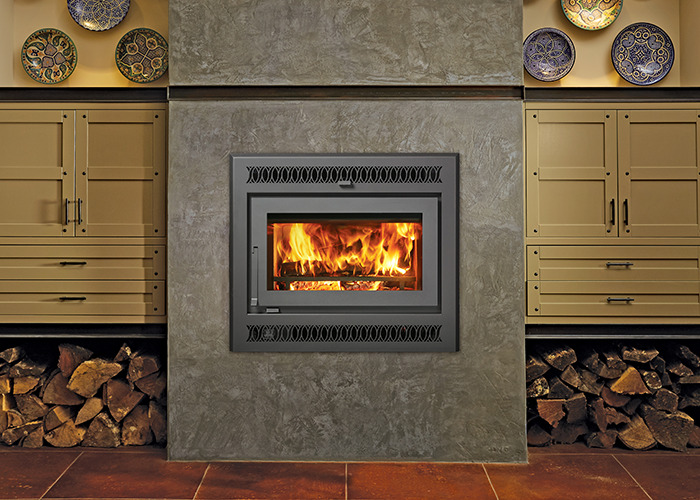 Extra large EPA certified catalytic wood burning fireplace heats like a furnace. Features the Posi-Pressure heating system that circulates the heat evenly throughout the home.